Home / Is Non-Alcoholic Beer Halal? In 2015, Ruzi Shuib partnered with a distributor of Bavaria 0.0%, to market non-alcoholic beer produced from the Netherlands. JAKIM, the Malaysian Islamic Development Department, had refused to certify any product with beer in the name, even if it was non-alcoholic. JAKIM turned down Ruzi’s request for halal certification because the malt beverage was produced in the same facilities as Bavaria beer, and claimed the production process was similar to that of alcoholic beverages3. Recently, Senator Khairiah Mohamed was asking question to Datuk Seri Jamil Khir Baharom on the list of approved 'non-alcoholic beers' in the market, as well as the terms of their sale. As for ‘halal’ ‘non-alcoholic-beer’ which consumers may come across in the Malaysian market, Jamil Khir stressed that their manufacturers may have obtained halal certification from private companies or international certification bodies not recognized by JAKIM or JAIN. Such beverages, he pointed out, do not feature Malaysia’s halal logo and are therefore, not halal4. 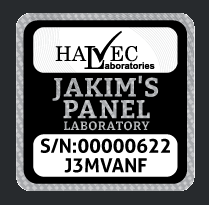 JAKIM stated that the content of industrial ethanol in the final food product should not exceed 0.5%, while the content of naturally-produced ethanol should not exceed 1% in the final food product.5 Halvec has been offering alcohol detection lab service using Headspace-GC/FID for food samples such as food additive, fermented product, dairy products and food & beverage. The turnaround time for the analysis is merely 3 working days. Headspace sampling is an excellent technique to access volatile analytes of interest which can be efficiently partitioned from the sample matrix, solid or liquid, into the headspace gas volume6. 1.Wikipedia. Low-alcohol Beer. Accessed 21st April 2017. 2.RNW Media Malaysia Muslim Warned Off ‘non-alcoholic’ beer. Accessed on 25th April 2017. 3.FMT News (2015) M’sian non-alcoholic beer yet to receive halal certification, Feb 25, Accessed o25th April 2017. 4.Melissa Darlyne Chow (2017) 'Non-alcoholic beer' not recognised by Jakim, Jain: Jamil Khir, New Straits Times, Apr 2017. Accessed 26th April 2017.